An excellent volume, created with care and attention by a professional storyteller. 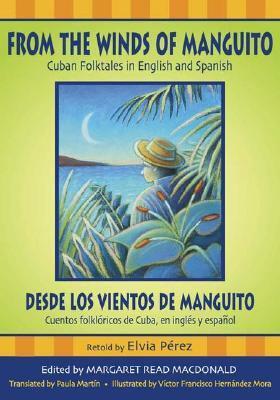 Elvia Perez picked the stories from her own repertoire, which draws from various oral traditions that have contributed to Cuban culture - indigenous beliefs, Afro-Cuban religions, tales of European and especially Canary Islands origins, and many local flavors from all of those blending together. All stories are presented both in English and Spanish, and the book comes with ample notes, glossaries, a bibliography, historical introduction, Cuban games and rhymes, recipes, color photos, and even black-and-white illustrations drawn in mesmerizing ways. It is a lovely, concise volume to hold in one's hand, and definitely a delight to read. Many of my favorite stories were found in the chapter on Afro-Cuban traditions. For example, in The Roads of the Island, a pair of twins won a dancing contest with the Devil, because he could not tell them apart, and they could switch places and keep the music going. Elegba (Elegguá), the trickster of the Yoruba, also made an appearance, in a legend that explained who he used to be before he became a deity. 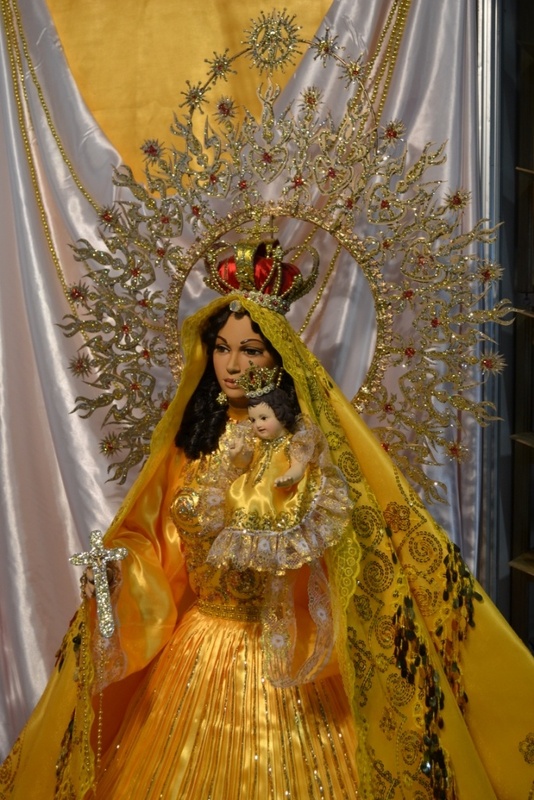 In the story of Oshún, the Keeper of Honey, a young goddess only got to rule over honey (unlike her more powerful siblings), but she managed to use it with such care and ingenuity that she even saved another deity's life. The best story, however, was that of the Invincible Women, in which two sisters, one warrior and one wise, both earned their own kingdoms in different ways, and then helped each other save them. Among the animal tales, that of the Herons was really lovely. Baby herons set out to find their parents by comparing their song to various other birds' and animals'. In The Headless Dance, animals saved the world from a fighting devil couple (who set fire to everything) by hosting a party where birds danced with their heads under their wings, and telling the devils that they could only join if they agreed to be beheaded... And finally, I loved the story of Kikirkí the Rooster, who saved his owner by fighting Death and chasing her away multiple times until the doctor got there. I found yet another flood myth; this time it was Yemaya, goddess of the sea, who tried to flood the people out because they forgot about her. The fairy of the river was the local variant of Frau Holle, with the good girl jumping into the river and earning a reward, and the lazy girl following after. Except in this case, the lazy girl was not punished, just threatened, and she changed her ways, becoming friends with her sister and making amends. Of course there was an animal race in this collection too - this time it was between Ambeco the Deer, and Aguatí the Turtle. Jamaica, our last stop in the Caribbean! This collection sounds really good. Earlier generations of my New Orleans family used to vacation in Cuba, I've always felt a connection.